Running with ultra settings in 4K on a GTX 1060, AMD FX 8320 (overclocked to 4ghz). The practice of re-releasing games that are only a few years old as an “HD remake” or remaster has rubbed people the wrong way for the last few years. There’s just something about being asked to pay as much as $60 for re-releases of games we’ve already paid for oftentimes in the last three or four years. Sometimes these games are presented as a package, therefore offering a ‘better’ value, such as the Borderlands Collection, Master Chief Collection or Final Fantasy X / X-2. The practice of re-releasing games dates back as far as 2009, with the release of the God of War Collection on the PS3 (well I suppose you could say it goes back even further, with Super Mario All Stars on the SNES, but I’ll keep it recent). The re-releases really started to pick up steam with the current console generation, and early on during this cycle people started to fatigue of these games since there seemed to be more re-releases than new content being produced. With all these re-releases seemingly milking more money for the same product, people have been speaking up, announcing their displeasure with the practice often in comment sections and on places like Reddit. I myself have even rolled my eyes at some re-releases (looking at you Deadpool), but at the same time I’ve purchased many of them, and I don’t regret it. I’ve had more fun with the Borderlands collection on the Xbox One, even though I’ve owned both games on the 360 and PC. They simply felt more refined on the current gen console (I wasn’t much of a PC gamer at the time). The Master Chief Collection is still one of my favorite game releases of all time. I love being able to switch between all of Halo games with ease, and appreciate the touched up version of Halo 2. I no longer have a PS2 (I’m not one to keep old consoles lying around), so of course I picked up Final Fantasy X HD when it released on PC, and I think there’s no better way to play it. Fortunately, you don’t always have to open your wallet again for these re-releases, at least if you’re a PC gamer. 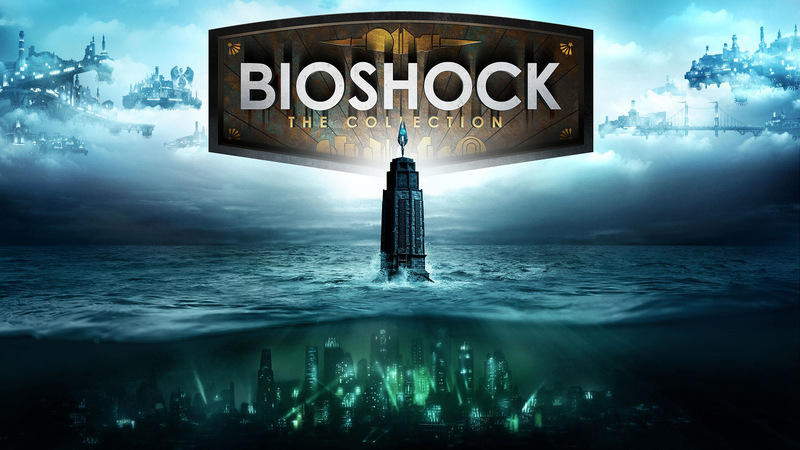 Bioshock’s updated version was free for those who already owned it, as was today’s release of Skyrim Special Edition (at least if you already owned the game and its DLC). That’s a nice gesture, as they certainly could have asked that we pay again (and they have if you’re a console gamer. Sorry!). So I can understand that people have a problem with paying for updated visuals, but I’ve been thinking about it this way. We often have no problem upgrading other forms of media as technology has evolved. How many of us have owned movies on VHS, then DVD, then Blu-ray and then digital (or even UHD Blu-ray)? When we upgrade our technology (be it media players or TV’s) we want to get the best possible version of our media available to us. Now movies aren’t quite priced the same as a game, but how often are you going to watch those movies? Once or twice? So you might pay $15-30 for a few hours of entertainment, versus paying $60 for an HD remake of a game that can offer upwards of 200 hours of shiny “new” entertainment. If you’re not convinced, there’s no problem holding onto your 360 or PS3 version of Skyrim, but I personally want to play the best available version. Besides, part of me likes to think that these releases help to fund new and exciting projects. Game development is more expensive and time consuming than ever, but game prices haven’t risen in years. That’s part of the reason why so many games have micro-transactions, whether we like it or not. Re-releasing an “old” game with a new coat of paint may just provide a publisher with the confidence that consumers are still interested in their products. Maybe I’m just viewing things from a glass half-full perspective, but I like to remain positive whenever possible. I’m going to stop rambling on now and go enjoy some Skyrim Special Edition in 4K. Thanks for reading! If you feel I’m flat out wrong, or want to express your opinion, I encourage you to comment! I did a vlog…should I vlog? Still a little sick, so excuse my crappiness. Hey there, just sharing a couple of recent Twitch streams I’ve done recently. I’m trying to get back into streaming more often so I can have more video content to share. I don’t yet have a Kinect adapter for my Xbox One S, so the Battlefield stream is gameplay only (I tried running it through my Hauppauge HD PVR 2, but couldn’t get it set up the way I wanted it). The Morrowind stream was sort of a test stream for my future streams, to include the Skyrim Special Edition stream I intend to do tomorrow morning (around 11AM MST). For some reason there’s no game audio in the Morrowind stream, so I still have to iron out the kinks before I stream tomorrow. I had known that The Elder Scrolls V: Skryim Special Edition (what a mouthful) would be available for free to PC players, providing that they owned all the DLC, but I didn’t know that I actually did own the DLC. You see, I played Skyrim first on the 360 and apparently acquired it during a Steam sale at some point but never really got around to playing it on PC. I was excited to find that the Special Edition appeared in my Steam library after I got home from work this morning, and it’s downloading now. I also have to admit, I have never finished Skyrim. I’m not quite sure how far I got, but I’m terrible at completing open world games (speaking of, I have yet to finish Fallout 4). I know I enjoyed playing Skyrim, but I think I got distracted and at some point couldn’t bring myself back around to finish it (same goes for Dragon Age and Witcher 3 unfortunately). 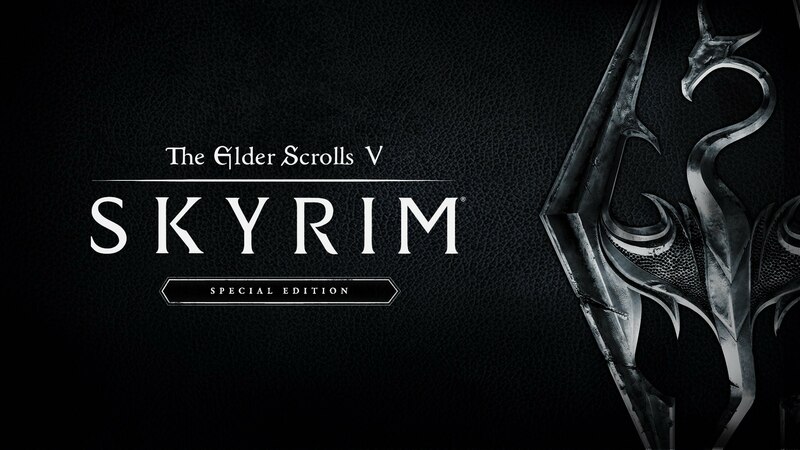 With the updated release tomorrow I hope to finally work on completing Skyrim. Or should I work on finishing Fallout 4 first? So many games, and so little time. I think I’ve enjoyed playing Fallout 4 much more than I enjoyed playing Skyrim, but even with Fallout I got sidetracked by games like Overwatch, Rocket League, Gears 4 and Battlefield. What’s worse is that I’ve heard nothing but rave reviews of Titanfall 2, so now I feel obligated to check that out this weekend as well. If I do find time for Skyrim, I hope to stream some of my playthrough on Twitch this weekend, so if you’re interested feel free to check that out (I’ll try to post here before I start broadcasting). Otherwise, I hope you have plenty to play this weekend, and I hope you have a great Halloween weekend! Should I cheat in Dark Souls III? Dark Souls III came out while I was deployed and I thought it looked exciting as I watched people play it. I had never really played Dark Souls before (I put maybe an hour into the first one before deciding it wasn’t for me), but I decided I would buy Dark Souls III to check out once I got home. When I finally got around to giving it a try I discovered just how brutally difficult it is, especially for someone who isn’t great at timing in video games in the first place and someone who has little patience to repeat sections of the game trying to perfect my combat skills. So after putting two hours into the game (and barely scratching the surface, at least an hour of that time was spent trying to beat the “easy” boss at the beginning) it’s sad idle in my Steam collection. I’ve been thinking lately about using Cheat Engine to just power through the game so that I can at least get something out of the $60 I spent on it. I know a lot of Dark Souls purists will probably cringe reading that, and many will claim that the experience will be ruined, but what if I don’t enjoy the experience? Am I less of a gamer if I decided to give myself infinite health and roll through the enemies just to see what it’s all about? Sure at that point the game is broken, but I’d argue that at least I’d be getting something for my money, right? I don’t think it would have been right to ask for a Steam refund, because I had been warned going in that the game would be difficult. It just turns out that I don’t have the patience to really play the game (I’m too old, and too busy really), so I’m justified in burning through it with Cheat Engine, aren’t I? I know ultimately it doesn’t matter what anyone else on the internet thinks, but I wonder how many other people out there have had a similar experience to mine. If so, did you still enjoy your time with the game? Is there any way I can achieve a middle ground between essentially just “hitting A to win” (with infinite health) and playing the “correct” way? Battlefield 1 is one of the most fun games I’ve played this year! I’ve been having an absolute blast with Battlefield 1 so far. For starters, the intro to the campaign is mind blowing. The production value is amazing, and the way they start things off showing that not everyone is going to survive is incredible. So far I’ve played through the first few sections of the tank campaign and I can’t wait to play the rest! I’ve never played more than two missions of any Battlefield game (except for Bad Company of course) but Battlefield 1 has me begging for more after each mission. The only thing keeping me from finishing the campaign is the amazing multiplayer. They’ve nailed just about everything with the multiplayer in Battlefield 1. The guns feel amazing to shoot and I love the way they sound. I love the all out chaos of war, with planes flying above, machine guns echoing in the distance and sniper fire flying over my head as I run for cover. I’ve only played a few matches so far, but every single one has been so much fun. I can’t wait to play more!